This week on Wrestling Omakase we talk an eclectic mix of wrestling. This week on Wrestling Omakase it’s more New Japan action as we continue tracking their hot March. This week on Wrestling Omakase we present our first ever live pick ’em roundtable! This week on Wrestling Omakase it’s a giant puro blowout! This week on Wrestling Omakase we jump back into the world of the Dramatic Dream Team to talk two big Ryogoku shows! John is joined by returning guest Emily Pratt of Uproxx to discuss an eventful NJPW New Beginning tour! This week on Wrestling Omakase it’s time for us to cover the 2018 VOW Match of the Year poll! This week on Wrestling Omakase John is joined by returning guest Skylar to discuss WWE and DDT! This week on Wrestling Omakase we’re talking the three biggest wrestling companies in the world! For the second straight year, we present to you the Wrestling Omakase Year-End Awards. This week on Wrestling Omakase it’s time for our second annual year end awards! It’s a special bonus episode of Wrestling Omakase this week! John was joined by Robin and Jack just minutes after Wrestle Kingdom 13. This week on Wrestling Omakase the Year in Review series comes to a conclusion with New Japan Pro Wrestling! This week on Wrestling Omakase the Year in Review series reaches its penultimate episode as we cover the Dramatic Dream Team! This week on Wrestling Omakase the Year in Review series marches on as we look back at an eventful year for Ring of Honor! This week on Wrestling Omakase the Year in Review series continues, as we head to the wide world of joshi! John is joined by returning guests Drew & Kevin Hare to break down BJW’s entire 2018. John is joined by returning guest Rich Kraetsch and first-time guest Scott to break down each year of WCW from 1994 through 2000! This week on Wrestling Omakase we’re joined by a first-time guest to break down NJPW’s big November show, Power Struggle! This week on Wrestling Omakase it’s Jake’s pick for winning our 2018 Champions Fantasy Draft, and he chose to have us watch FIP Everything Burns 2017! This week on Wrestling Omakase we dive into the Dramatic Dream Team for one of their biggest shows of the year: Peter Pan 2018! It’s JOSHI-MANIA this week on Wrestling Omakase, as we cover two recent Korakuen Hall events from two undercovered joshi promotions. This week on Wrestling Omakase John is joined by returning guest Kevin Brown to give a full review of New Japan’s latest show: King of Pro Wrestling. It’s the final draft episode of 2018 this week on Wrestling Omakase! All the winners from past episodes compete. It was a massive week of news for the Dramatic Dream Team (DDT) and we’ve got you covered this week on Wrestling Omakase. 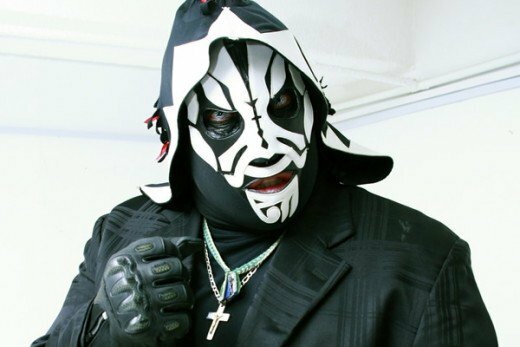 This week on Wrestling Omakase we finally return to our Fantasy Draft series as we turn our attention to lucha! Wrestling Omakase: Rating Every WWF(E) Year From 1996 to 2006! This week on Wrestling Omakase we jump right into an ambitious discussion: rating every year of the WWF/E from 1996 through 2006, on a scale of 1 to 5! This week on Wrestling Omakase we come to you with a relatively quick show breaking down the All In event, live from a nearby hotel room in Chicago! Jonh and special guest Taylor talk King of DDT, Tokyo Joshi Pro Wrestling and preview ALL IN as well as NJPW’s upcoming Destruction tour. This week on Wrestling Omakase it’s our much anticipated review of WWE SummerSlam 2018! John is joined by returning guest Tanner from the All You Can Hear Podcast to talk the early days of Pro Wrestling NOAH! John is joined by returning guest Skylar and first time guest Hannah to break down four more G1 Climax shows, nights 12 through 15. This week on Wrestling Omakase we talk both of Japan’s two longest running wrestling promotions with first-time guest Joey Bay! This week on Wrestling Omakase we’re once again talking New Japan and DDT! This week on Wrestling Omakase our primary topic is the first 3 nights of the G1 Climax. Yet another G1 Special in San Francisco review, albeit with the unique perspective of a lapsed ex-New Japan fan! Wrestling Omakase #52: Mid Year Awards w/ 4 Guests! This week on Wrestling Omakase we present our first ever Mid-Year Awards! This week on Wrestling Omakase we talk the two biggest promotions in Tokyo, NJPW and DDT! The Fantasy Draft series of Wrestling Omakase rolls on this week, as we turn our attention to the US & UK indies! NJPW Dominion is the subject of this week’s Wrestling Omakase, as John is joined by first time guest and retired indie wrestling star Gran Akuma to break down NJPW’s 2nd biggest standalone show of the year! It’s time to wrap up the Best of the Super Juniors for 2018, and to do so John is joined this week by returning guest Joe Gagne of the 5 Star Match Game and many other places and projects. It’s back to our Fantasy Draft series this week on Wrestling Omakase! John is joined by returning guests and Burning Spirits co-hosts Brennan Patrick and Kevin Hare, as well as first time guest Tanner from the All You Can Hear podcast, as the four of them compete to draft from indie puroresu! This week on Wrestling Omakase John is joined by returning guest Eyean to discuss the latest from All Japan Pro Wrestling! We’re back to the VOW Fantasy Draft series this week on Wrestling Omakase with our promised second edition! This week on Wrestling Omakase, John is joined by first time guest Kyle of Sheet Sandwich to discuss terrible, no good, awful WWE Backlash and the two NJPW Wrestling Dontaku shows. John and their three guests have been named the General Managers of four new brands, and this draft is being held to create their initial rosters. This week on Wrestling Omakase: John is joined by first time guest Jahmale (RealHero) to discuss the AJPW Champion Carnival so far! This week on Wrestling Omakase John is joined by first time guest Bryan from the self-proclaimed “#1 anarcho-comedy radio show” Street Fight! 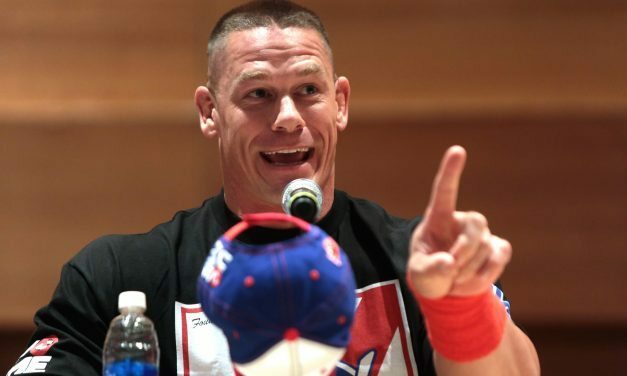 The main topic discussed is Wrestlemania, as the two of them talk in great detail about every match on the main show. Wrestling Omakase reaches its 40th episode as John is joined by the first ever member of the 5-time guest club! Jesse makes her latest appearance on the show to discuss all things DDT. Wrestling Omakase returns this week on location from Southern California! John is joined by their longtime friend and returning guest Sean Williams as the two of them record from a hotel room in Long Beach hours after seeing NJPW Strong Style Evolved. On this week’s Omakase John is joined by first-time guest Jamie, longtime runner of the popular English fan blog Dramatic DDT, to preview DDT’s biggest show of the year: DDT Judgment! John is joined by first-time guest Chris Charlton author of the forthcoming EGGSHELLS: Pro Wrestling in the Tokyo Dome to discuss the very topic of his upcoming book! Wrestling Omakase is back with a very special episode! John is joined by two returning guests: Michael Spears and Rich Kraetsch to discuss their shared history with a quirky little thing called e-wrestling. John is joined by their longtime friend and wrestling traveling companion Bryan Quinlan to discuss all of the matches and major news stories coming out of the two surprisingly good joint NJPW/ROH Honor Rising shows. Wrestling Omakase is back with another historical episode, as John is joined by returning 3-time guest Andrew Rich (@AndrewTRich) from the Music of the Mat podcast to discuss a period of WWE both of them still remember well. Wrestling Omakase looks at the entire history of the World Wonder Ring, STARDOM with returning guest Sean Williams, author of the STARDOM Project blog, and new guest Tara Wrist, longtime STARDOM and joshi fan, to discuss the entire history of this incredibly interesting joshi promotion! Kara & Aaron join John to help them break down the two NJPW New Beginning in Sapporo shows, and then the WWE Royal Rumble. Wrestling Omakase returns this week with a jam packed show full of variety including RAW 25, Puro Grab Bag, All Japan, NOAH and Wrestle-1. Wrestling Omakase is ready to kick off our 2018 season in earnest, and we start things out with the first of two weeks focused on current puroresu. Wrestling Omakase #28: 2017 Year End Awards Spectacular w/ 9 Guests! The unveiling of the first-ever Wrestling Omakase Year End Awards: Best Promotion, Feud of the Year, Most Outstanding Wrestler, Best Major Show, Best Tag Team, Match of the Year & Wrestler of the Year/MVP. John is joined by Joe Lanza and NJPW writer/match of the month organizer Lawson Leong as the three of them give a thorough look back at NJPW’s 2017! We’re nearing the end of the road in the Wrestling Omakase Year in Review series, and in our penultimate episode we talk all things Big Japan Pro Wrestling! The Year in Review series marches on this week on Omakase, as we take a critical look at where Ring of Honor stands in pro wrestling in 2017! The Year in Review series heads into the realm of joshi as John is joined by returning guest Alexandra of Squared Circle Sirens. It’s time to get back to the Year in Review series this week on Wrestling Omakase, and we have a hell of a promotion to cover: Dramatic Dream Team! We take a break from our Year in Review series to take another look at another American indie wrestling mainstay: Pro Wrestling Guerrilla! Wrestling Omakase’s 2017 Year in Review series continues this week with everyone’s favorite promotion, World Wrestling Entertainment! Wrestling Omakase begins its Year in Review series looking at AJPW with devoted All-Japan Pro Wrestling fan Eyean. 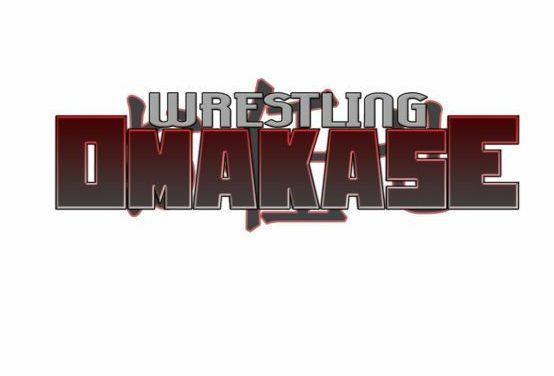 On this week’s episode of Wrestling Omakase, John is joined by Jake & Kevin Brown to discuss CZW, the longtime northeast independent promotion. This week’s episode of Wrestling Omakase sees us welcome a brand new guest, the King of Banter himself, Joe Lanza of the Voices of Wrestling flagship! JR Goldberg returns to discuss WON HOF candidates from Mexico including Blue Panther, Caristico/Mistico, Dr. Wagner Jr, LA Park and more! We’re seeing green this week on Omakase, as we board the ark and take a great voyage to Yokohama! On this week’s edition of Wrestling Omakase, John is joined by VOW Rich Kraetsch to talk Wrestling Observer Hall of Fame! On this week’s episode of Wrestling Omakase we shift back to Shin Nihon, once again being joined by returning guest Andrew Rich break down all things NJPW. This week on Wrestling Omakase, we get really meta! Yes, the topic of this wrestling podcast is…..wrestling podcasts with the one and only Joe Gagne. Wrestling Omakase continues its trip down northeast US indie memory lane as John and Michael Spears discuss the history of CHIKARA. Dylan is with us this week to discuss the show he reviewed for the VOW site, the very same show John attended live: DDT Peter Pan 2017! It’s time for a very special episode of Wrestling Omakase, as John is coming at you live from Tokyo to discuss an amazing 9 days of Japanese wrestling! Wrestling Omakase is back with our latest episode, and this week it’s all about the New Japan Pro Wrestling G1 Climax! Two weeks ago we brought you a crash course into men’s puroresu, this week we’re back to talk Japanese women’s pro wrestling or Joshi! This week’s focus is Big Japan’s biggest show of the year, the annual Ryogokutan show and as such we have two passionate BJW fans on to discuss it! Wrestling Omakase returns with a doozy of an episode as we attempt to bring you up to speed on SIX different Japanese wrestling companies. Wrestling Omakase is back and this week John is joined by Jeff Hawkins of Shake Them Ropes and Fightful to talk all things WWE. The debut episode of Wrestling Omakase, a new podcast based around a rotating co-host concept and covering a wide variety of the wrestling. Today: NJPW!